I wear covered shoes frequently and tend to neglect my feet, thinking that no one will see my dry and peeling feet/heels. But I was wrong, if I don’t take care of my feet, the dryness and peeling will cause bleeding and sore feet which makes me very uncomfortable every step I walk. I can’t wear pretty sandals and heels. Going to full pedicure spa treatment can be quite pricey if I visit weekly. Introducing SCHOLL Velvet Smooth Express Pedi Electronic Foot File which we can easily do our very own pedicure comfortably at home. As the leading foot care expert, Scholl introduced its latest innovation to keep hard skin at bay. Velvet Smooth Express Pedi Electronic Foot File, the simple yet handy electronic foot file is designed for ease of use, so one can achieve beautiful and velvety smooth feet effortlessly and instantly. Package includes: Electronic Foot File, 4 x AA batteries and a foot file roller cover. Easy to operate, with a single switch button (O = Off, I = On), Roller head is washable and removable. Wash it under running water after use and replace it when needed. it’s easy to use and effortless! Compared to traditional foot file, it’s definitely more time saving and efficient! 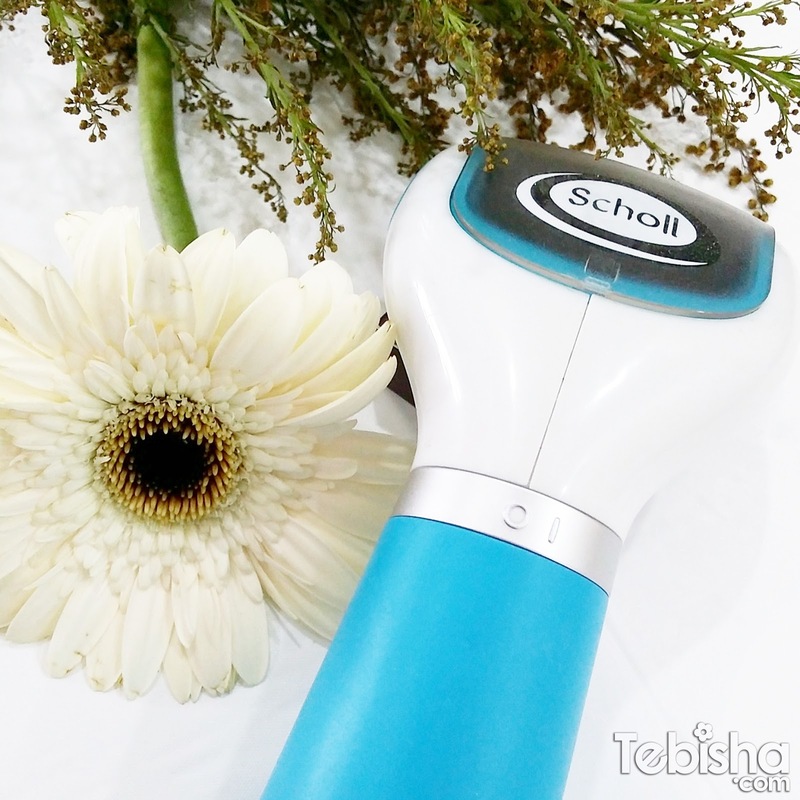 SCHOLL Velvet Smooth Express Pedi Electronic Foot File can be used directly on dry feet, whereas for traditional foot files we have to soak our feet in warm water to soften our skin then file it. No strength needed, just place the electronic foot file on my feet and go over the dry areas. At first, I was afraid of the messiness, worrying that dead skin will be all around the floor. Surprisingly, while using, no single dead skin or sheds are seen. Convenient to use it anytime and anywhere! No pain at all, it helps me to regain smooth and soft heels in seconds. Package comes with a cover to protect the roller. Special Promo to all my readers! 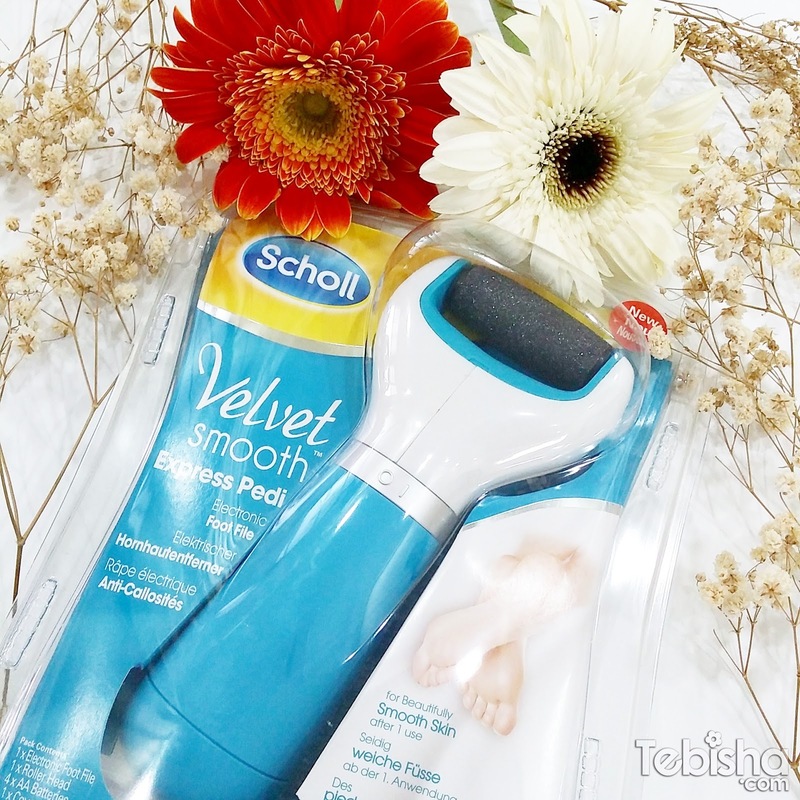 Purchase SCHOLL Velvet Smooth Express Pedi Electronic Foot File on Red Mart and get 10% off! Hurry! Promo ends 31 October 2015!